Walton Athletes receive Surrey Performance Awards. 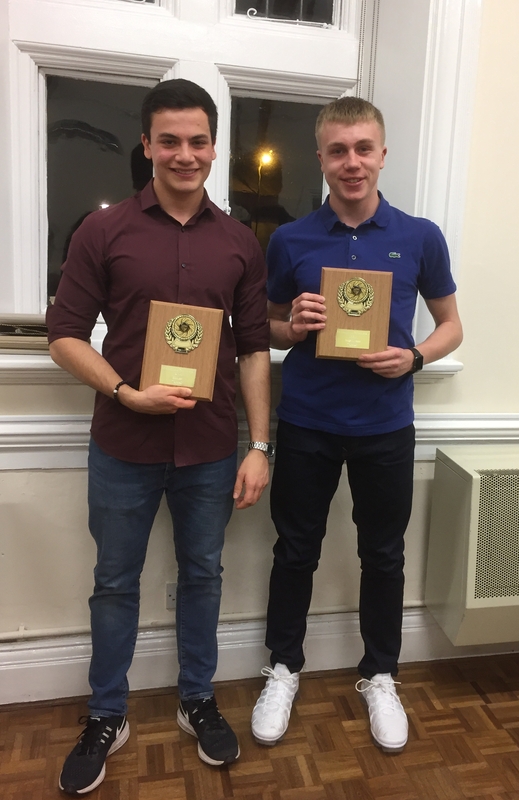 Last Friday two Walton Athletes were invited to attend the Surrey Annual Awards evening. George Sudderick scooped U15 Boys’ Championship Best Performance for 2018 in the 300m (36.04) and Sam Mace scooped the U20 Men’s Championship Best Performance for 2018 in the Hammer (59.82m). It is also worth noting that both athletes significantly outperformed these marks over the course of the season! A great achievement by both athletes, well done.